With the rate Google and SEO best-practice shape-shift, it’s always a good idea to have a grasp of tangible goals for improving your site’s ranking. With the new year in full swing, it’s the season for lofty resolutions that’ll light a fire underneath you. In terms of SEO, 2018 will be all about improving the user experience – building stronger, more relevant links, going mobile-friendly and optimising your site for voice search. Everything that’ll help satisfy your audience’s needs. By now, you probably know just how important link-building is for bumping up your website’s search engine profile. But it’s a little more complicated than that. It’s not the sheer amount of links other websites have pointing back to you, but their relevance to your industry. Quality over quantity is the way forward for link-building. You want to ensure the places linking back to you are both reputable and relevant to your industry. Back in May of 2017, Google warned it would be looking into potentially spammy links and picking out sites trying to abuse the system. That’s why next year, you should take extra care to make sure your link-building strategy is solid and the sites you’re partnering with add value to your audience above all. Google has made clear that now more than ever a site’s focus should be on user experience. No more complicated navigation bars or pages whose points are buried in statistics and endless rambling. A user’s experience with your site should be as smooth and painless as possible. Improving your site’s speed, its readability and navigation structure will help keep users on your site longer, which will indicate to search engines that the information you provide is more useful. Keep an eye on your bounce rate too, to see how pertinent people are finding your content. Plus, it’s just a good idea in general to make sure the people visiting your site are satisfied with their experience. That way they’ll know to come back to you if they have any future needs you might be able to meet. While voice search might seem like a futuristic pipe dream to some, to others it’s an everyday tool. And even if they might not necessarily be the majority, it’s still important to reach this particular audience. 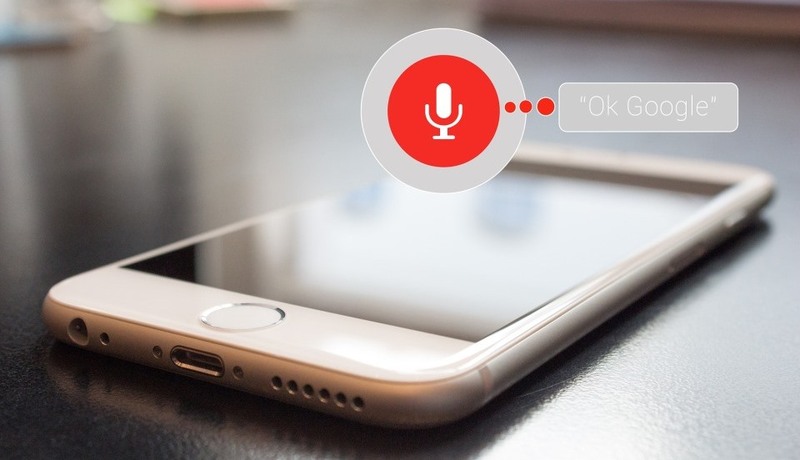 Voice search is undoubtedly rising in popularity. Voice search technology is constantly evolving – see Amazon’s Alexa – and, according to an April study, makes up around 20% of all Google apps and Android phone searches. In 2018, these numbers are only predicted to increase. And how will this affect you and your site? In order to meet vocal commands, you’re going to need to implement vocal keywords. These usually take the form of long-tail keywords that start with a who, what, where, when or why, and end in a question mark. Above all, voice keywords are conversational and mirror natural diction. Once you identify them, you can begin to optimise your site for these specific queries. Our next SEO resolution ties in with our last, in that it’s crucial you understand what kind of specific questions your intended audience is asking. This time, it relates to featured snippets, otherwise known as ‘SERP position zero’, a highly-coveted spot. Featured snippets are the little boxes that appear above first page search results and typically will feature cuts of text that directly answer the user’s question. These are all about answering user queries and giving them what they want faster than ever. To improve your chances of getting up to position zero, you’ll want to try to create Q&A style content where possible, with responses that can be easily excerpted by Google. Lists, graphs and tables are also particularly popular choices for featured snippets. We have a feeling you already know how important fresh content is – not only for ranking high with Google but for helping out your users – but we thought it was worth reiterating: in 2018, you should make time for fresh content. If you’re short of inspiration, consider the help of a content marketing agency, who can take care of producing unique content that will make a difference. Prioritise giving your content a solid sweep, ensuring everything is up-to-date, relevant and completely unique to you. The only way you’ll be able to compete with competitor sites is by putting your best foot forward. On the Internet, that means providing the best information in a simple and easy-to-understand way. This one harks back to user experience – when users visit your site on their mobile phones or tablets, you want to make sure they can do so in the simplest way possible, viewing clean pages that are easy to navigate. The mobile experience has always more or less been considered a bonus for a brand, but this year it’s destined to be a bigger focal point, especially as users turn to their mobile devices more and more for accessing the web and Google’s roll-out of its mobile-first index becomes more widespread. To optimise your site for the mobile-first index, there are a lot of aspects to consider and questions you’ll likely have, but luckily the roll-out is expected to be a slow one as Google works out the kinks. In the meantime, you can use this lull to ensure your content is mobile-friendly and invest in a mobile strategy that’ll help you keep up with the changes as best you can. For help with improving your SEO performance in 2018 and maintaining it beyond, get in touch today.